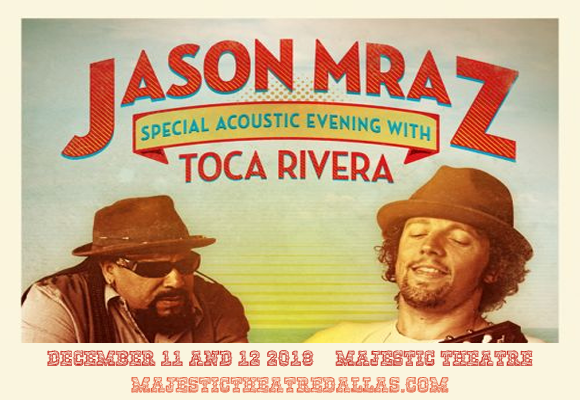 The endlessly talented Jason Mraz comes to Majestic Theatre Dallas on Wednesday 12th December 2018 for the second night in a row, accompanied by his equally talented long-term percussionist Toca Rivera! Performing a cozy acoustic set of Mraz songs (with a few surprises thrown in), the pair will be treating the audience to brand new material from his most recent album Know, as well as classics like “I'm Yours”! They will be joined by the incredible Gregory Porter in support!